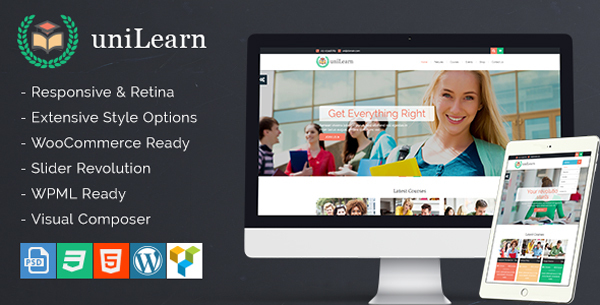 This is a unique and flexible Education and Courses WordPress theme, suitable for a wide variety of educational websites. This theme offers many various possibilities which will help you easily create a beautiful and stunning website. “UniLearn” is applicable for colleges, online courses, tutorial sites, personal blogs and may other various site types!